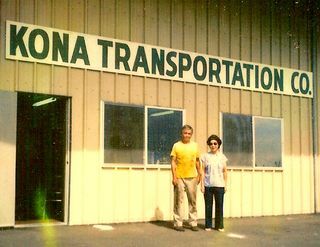 Kona Trans is a family owned corporation that began in Kona and later expanded into Hilo, quite the opposite of most Big Island companies. 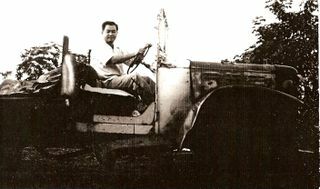 Not long after graduating from Konawaena High School, Shinichi Shiotsuka rented a flatbed truck to take vegetables and meat to Hilo. It took him 4 hours to cover 120 miles back in 1939. His parents owned a small vegetable and coffee farm and the enterprising young Shiotsuka saw a way to get their products to a wider customer base on the other side of the island. 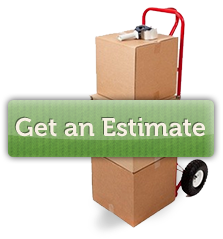 His day would start at 2:30am and end at 10pm with him doing all of the loading and unloading of goods and the driving and maintenance of his truck. 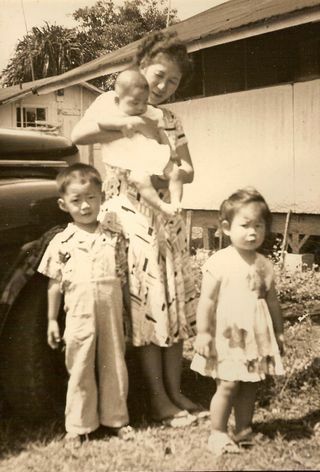 Within a few years, Shin Shiotsuka bought himself a truck with a $300 loan from a family friend, met and married a young Hilo girl and they raised a family of three children in Napoopoo. Shin continued his Hilo haul, day after day, year after year. 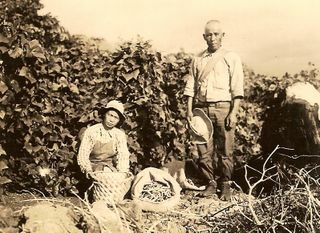 In time, he bought more trucks and hired a few drivers, moved his operation from his home in Napoopoo to a warehouse in Kealakekua, then to a rented baseyard and warehouse in Kailua-Kona on Alapa Street where the photo (below) of Shin, and his wife Yaeko, was taken. 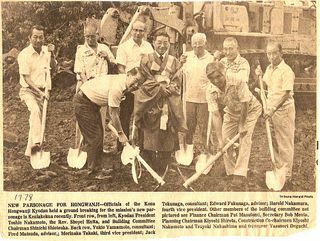 By then his business included daughter June and son Albert, and they purchased three acres in Honokohau, off Queen Kaahumanu Highway and built the existing office and warehouses. 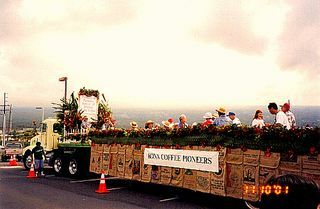 Throughout the years, as Kona Trans played an integral part in the Big Island’s progress, Shin also generously contributed through religious and community efforts, such as the Kona Coffee Festival, donating vehicles and manpower for numerous floats and exhibits in Kona parades throughout the years. Years have gone by and today, Kona Trans is now synonymous with the big yellow rigs and their many drivers. 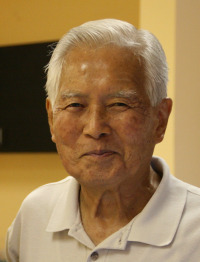 Shin Shiotsuka showed up to work every day until he passed away in March after a brief illness, at the age of 89. Kona Trans to date, has approximately 23 tractor trailers, numerous flatbeds, forklifts, vans and 70+ employees in Kona and Hilo. Now that you’ve read this bit of history, when you see one of those big yellow rigs you too can say, “there goes one of Shin’s trucks.” Still rolling after 70 years. Used with permission, view original post.